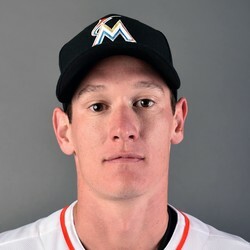 Miami Marlins relief pitcher Brian Ellington was designated for assignment on Sunday. Ellington posted a 7.25 in over 44 innings of work at the big league level last season, and is one of the proofs that a fastball can be fast without necessarily being good. Ellington can hit 100, but batters can hit it because he has no strong secondary pitches. He could clear waivers.